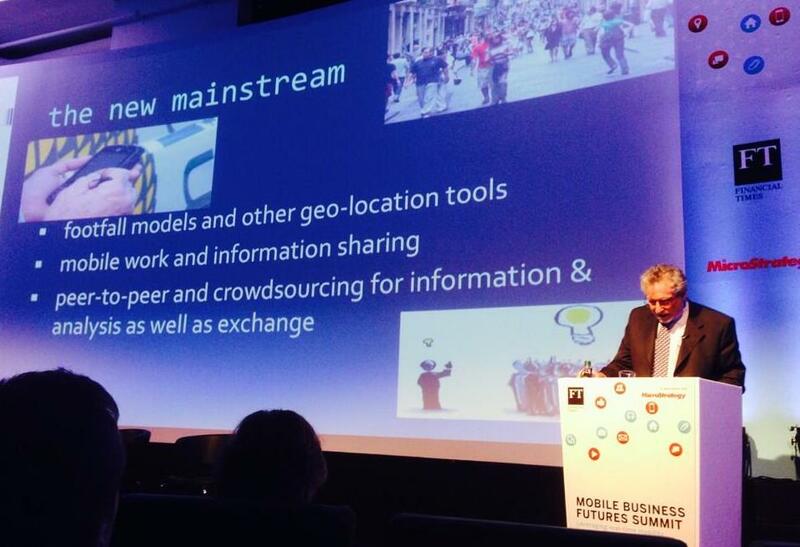 On December 4 Jonathan Liebenau addressed the opening keynote of the FT Mobile Business Futures Summit. The half day event brought together leaders and senior executives from key sectors in the economy to discuss future opportunities and challenges that the age of mobility poses to organisations. The event also discussed how forward thinking industries use technology innovations to secure competitive advantage through productivity and optimisation, drawing on examples of current uses in retail, financial services, healthcare and media. The new business realities in the digital age – How are business models changing as a result of innovation and mobility? Jonathan’s keynote offered an academic view on what is changing, and what we may expect to see in the age of mobility. His presentation and photos of the event are available on the FT website. This entry was posted in big data, business models, Carla Bonina, creative industry, digital economy, events, Jonathan Liebenau, LSE Tech public speeches, mobile industry, mobility. Bookmark the permalink.